In the history of grocery operations, electronic data interchange (EDI) may have been one of the game changing developments in the last 30 years. Of course, we’re a little biased, but we’ve seen how EDI has greatly improved back office efficiency in North America as well as in Australia, helped operations reduce unnecessary staffing levels, helped reduce the number of errors and even cut down on late payments for suppliers – which could lead to saving 49 Sydney Opera Houses full of food waste every year. Here’s how things worked 20 years ago. A grocery store placed an order for various items sold by the suppler or distributor. The orders could range from 1 item to 100’s of items. They faxed or called in the order, and someone on the supplier’s end entered the order into their ordering system, where it is processed and sent down to the grocery wholesaler’s/distributor’s warehouse to be fulfilled. The supplier/distributor delivered the order to the grocer’s DC or store where someone unloaded and counted every item for receiving. And this happened across hundreds of grocers, wholesalers and suppliers multiple times per week. The supplier/distributor would then send an invoice, where the Accounts Payable department receives it, pulls the original order, calls down to the warehouse for the packing list, and does a three-way match to determine that everything — quantities, and prices — all match up, which take can take up significant time. Then and only then does the invoice get paid. This assumes everything goes well. This does not include the possibility that the supplier didn’t receive the order, someone entered the order incorrectly, the warehouse didn’t fill it correctly, the price changed, or the supplier didn’t include a previously promised discount. Any of these would have prompted an investigation by the retailer that would have taken several hours. Here’s how things work with EDI. 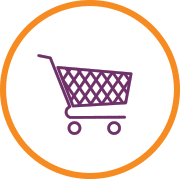 The grocery retailer places an order in their ERP system, which is then sent via EDI to their supplier. The supplier loads the order into their system and replies with a confirmation, The warehouse receives the order, picks and scans all the units, where it automatically confirms everything is correct. The grocery retailer receives an Advanced Shipping Notification (ASN) to let them know what was shipped and when the order will arrive. The barcodes are scanned by the receiving warehouse, which compares it to the original order and updates the inventory. The invoice is sent by the supplier, where the grocery retailers compares against the PO and receipts and the invoice is flagged for payment on the due date. Did I mention this is all done automatically and almost instantly? No one did any data entry no one had to make sure everything went well. If there is a problem, the transaction is flagged in the system, and then and only then, does a human get involved. They do a little investigating, find the error, and correct the issue. And because there’s a data trail, finding the error takes minutes. Otherwise, if there are changes to an order, such as in the Purchase Order Change Request, the appropriate people are — automatically — notified immediately. What can EDI do for grocery? Grocery stores need EDI now more than ever. With thinner profits and intensive competition, grocery stores need to squeeze more value out of their existing stores. By streamlining their processes and avoiding overstocks and short inventory, they can get exactly what they need when they need it. Beyond purchase orders, invoices, automatic payments, and purchase order adjustments, EDI can help grocery retailers with visibility, streamlined receiving, lower safety stock, detailed product information and capturing lot numbers by implementing the Advanced Ship Notice (ASNs). 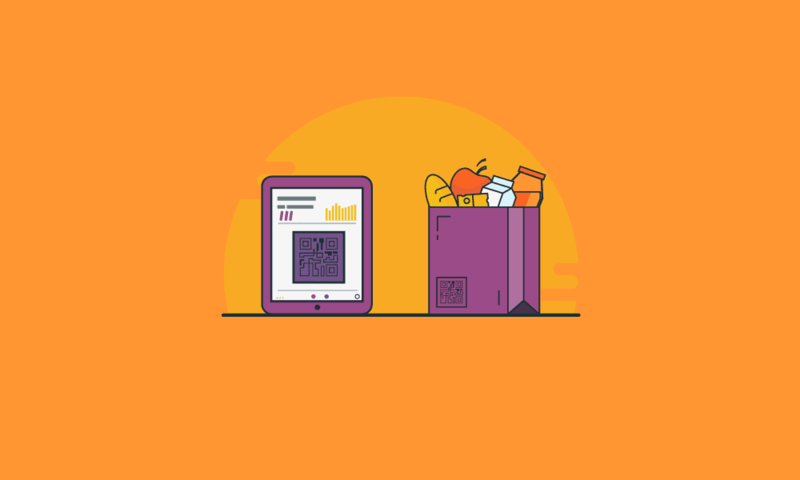 This transaction can help grocery retailers and food suppliers track and trace the chain of custody, so if a product or ingredient ever becomes part of a local, regional, or national recall, everyone can be notified quickly and efficiently. The recalled products can be pulled from the shelves more quickly, before too many units are sold to an unsuspecting public. EDI offers the best chance of ensuring the inventory consistency and reliability by offering greater transactions efficiency and shipment tracking. Just by improving the speed of exchanging and processing POs and invoices through EDI, you can avoid running out of items or dealing with unhappy customers who are irritated that their favourite items are out of stock. A cloud-based EDI solution for grocery like SPS Commerce’s can make it easy to find and add new vendors and products. Looking for a supplier of local sports merchandise, or a new supplier of non-food products? Our Retail Community can help you identify these suppliers and then add them to your system quickly and easily. For more information on SPS solutions, please look around our website to contact one of our representatives. Connect to groceries in Australia, New Zealand, and beyond to achieve seamless collaboration with all your trading partners.